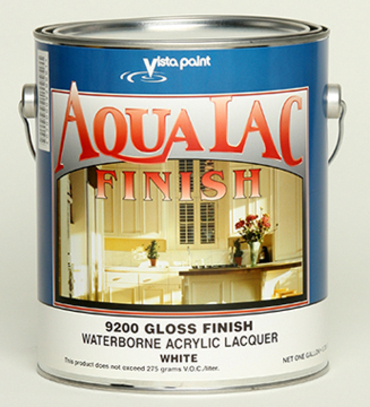 A premium plus acrylic, non-yellowing pigmented waterborne lacquer. Excellent hardness and durability. Very low VOC and low odor. Non-flammable, environmentally responsible product. Resistance properties surpass conventional lacquer. Recommended Uses: Interior cabinets, doors, shelves and other woodwork. Exterior primed wood doors. Colors: White and special order factory tints.